Come on in! We’re having a Wingding! Sample the music you might have heard at a turn-of-the century party. We’ll take you into the parlors of city dwellers and to a rural barn dance. 14 timeless instrumentals, 40 minutes. Features 5 & 6 stringed banjos, fiddle, minstrel banjo, guitar, bass, mandolin, banjo-mandolin, banjo-guitar, spoons. Click musical notes, below, to hear a short sound clip of that song. THE TUNES: Silver Bell, Sweet Bunch of Daisies, Richmond Cotillion, Chinquapin Pie, At a Georgia Camp Meeting, Goodbye Liza Jane, John Barleycorn, Red Wing, Sourwood Mountain, Dill Pickles Wednesday Night Waltz, Dry & Dusty, Spooning in the Parlor, Give the Fiddler a Dram. 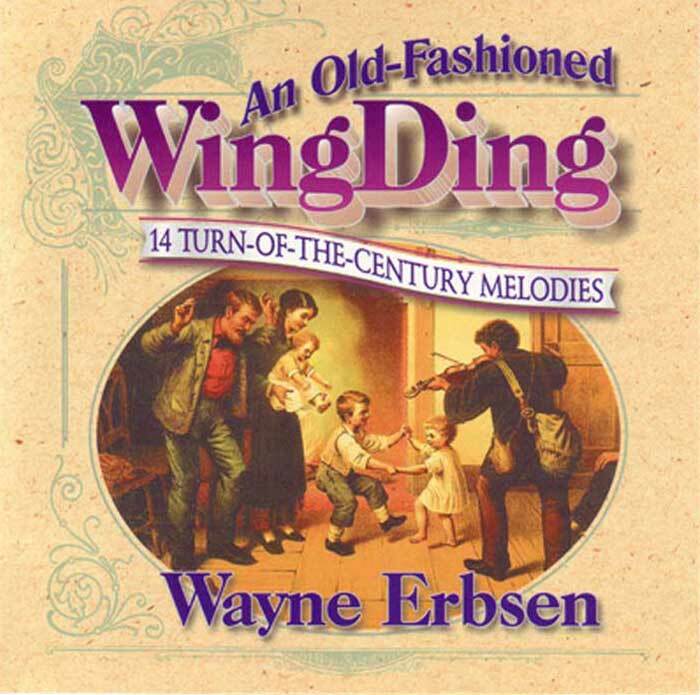 Be the first to review “An Old-Fashioned Wingding” Click here to cancel reply.